Plastic Demo Board. Slotted with carry bag. Plastic Demo Board. Slotted with carry bag.. Type: EQUIPMENT. Detail: PLASTIC_DEMO. Product Code: PDB5. Large slotted demonstration board. The width of the squares are 7.6 cm (3 inches). The board is 68.5cm by 68.5cm (27 inches by 27 inches). The carry bag includes all 32 pieces. 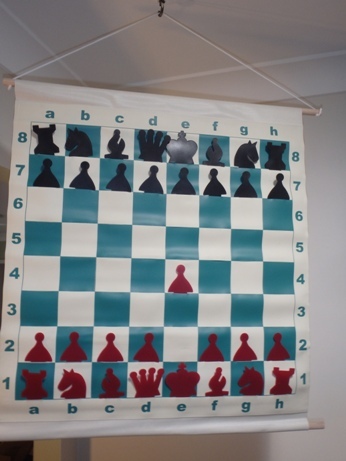 Ideal for teaching and used by chess coaches.